Imagine a small town with more then a thousand winemakers, all surrounded by vineyards and orchards. On the edge of the town, there is a hotel with rooms that overlook winemakers attending their vineyards. Imagine that, in the evening, you can sit on the balcony, looking at the sunset over the gentle hills, whilst drinking a great wine produced by the hotel owners. Have you already packed your bags? 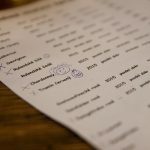 Last year we spent a few days in Velké Bílovice, the largest Moravian winemaking town and a place where you can (nearly) always find several wine cellars opened for tastings. 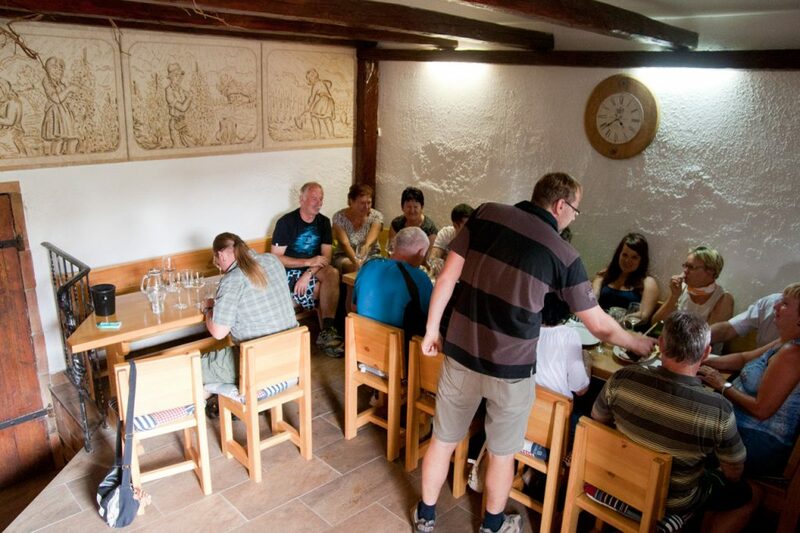 Every day during the main season, several winemakers in Velké Bílovice open their cellars to thirsty visitors. 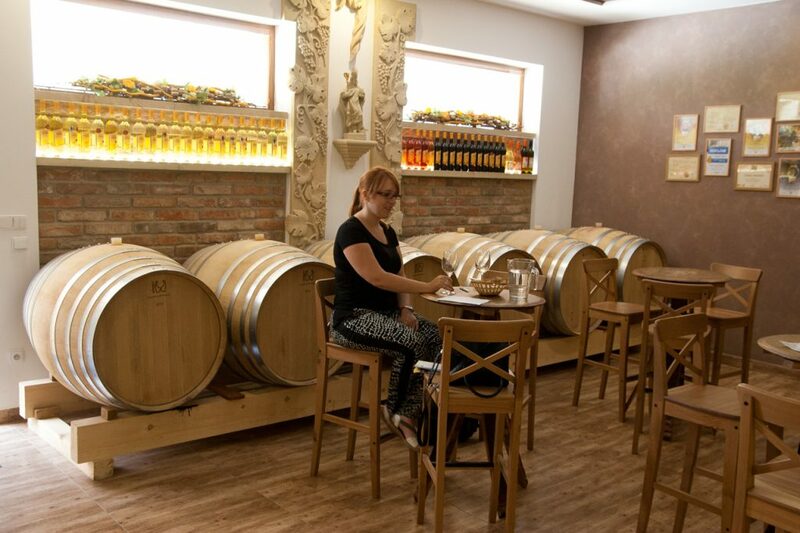 Ideal, because you can simply walk in to these open tastings, no reservations and no minimum amount of people required. 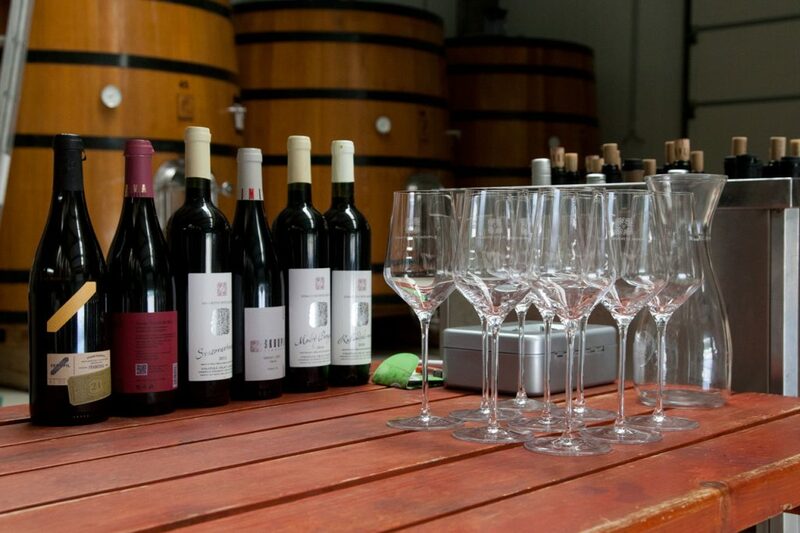 Plus, different cellars open their doors each week, giving you the opportunity to taste something new every day. You can recognise the opened winemakers by the “Degustace” sign in front of the cellar (or get a map at the hotel). During our stay we naturally took advantage of this open attitude and had tastings at Vinařství Petr Skoupil, Vinařství Bauman and Rodinné vinařství Spěvák. 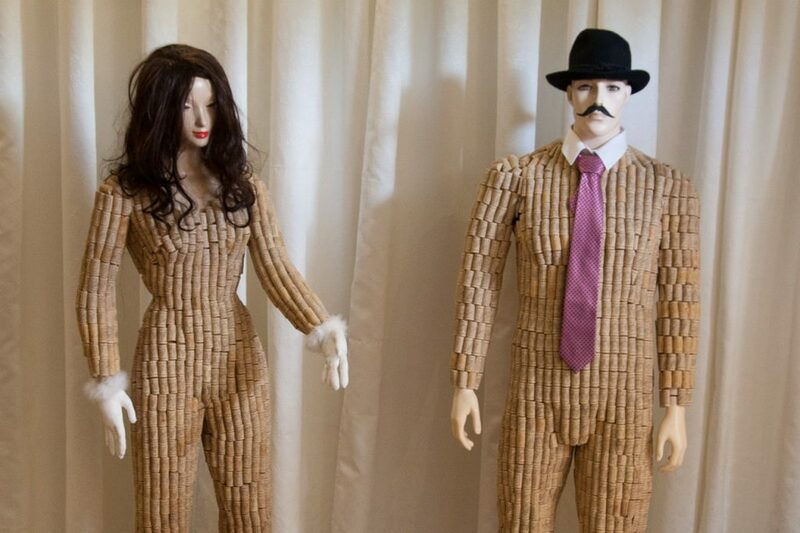 The tasting at this winemaker was a bit different from what we are used to. 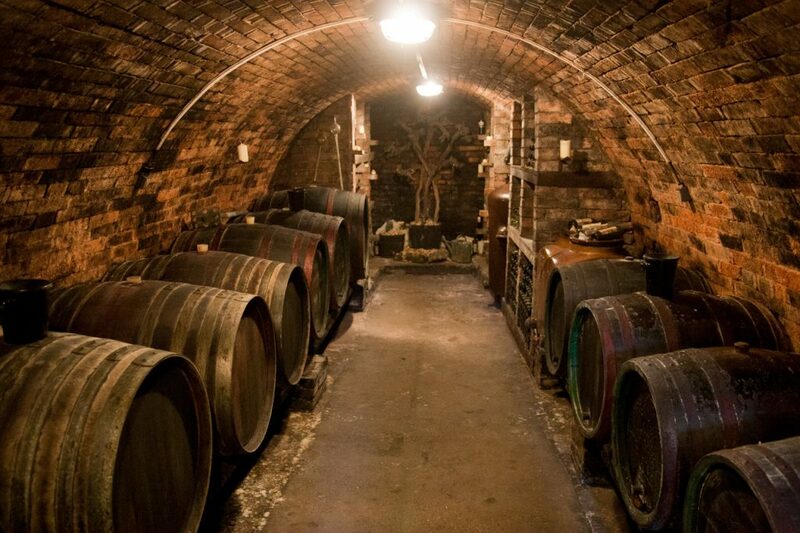 Moravian wine tastings usually take place in old traditional wine cellars, where the owners will usually tell you about family traditions, or what passion drove them to become a winemaker. 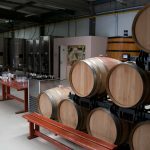 Here the tasting took place in a very different setting: a normal warehouse amidst brand-new machines and shiny metal tanks. 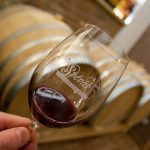 At Vinařství Petr Skoupil, they dwell less on tradition; they will use all innovations they can to create the best wine. During the tasting, they talk about how proud they are of their new Mega Grape Crusher 2000 (ok, I forgot the actual name) and how machines help them to improve the quality of the wines. 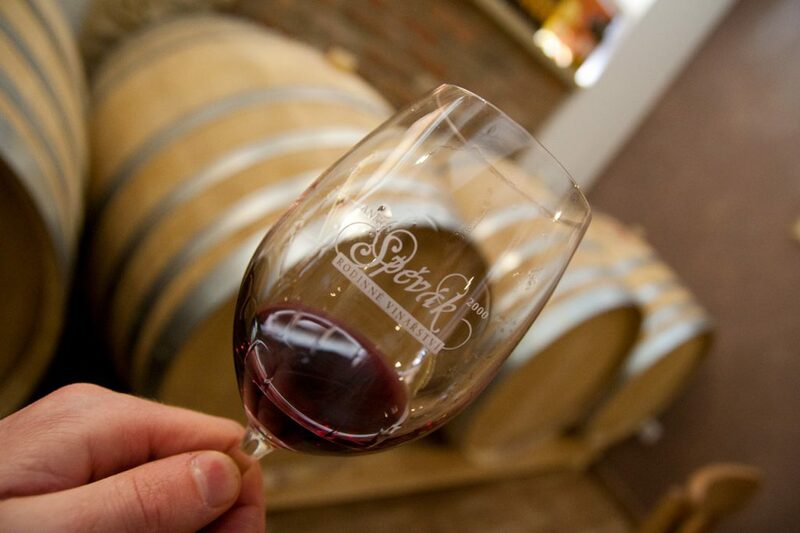 This might not sound as romantic as a story about an old winemaker hand picking grapes and crushing them barefoot, but they know what they are doing at Skoupil. 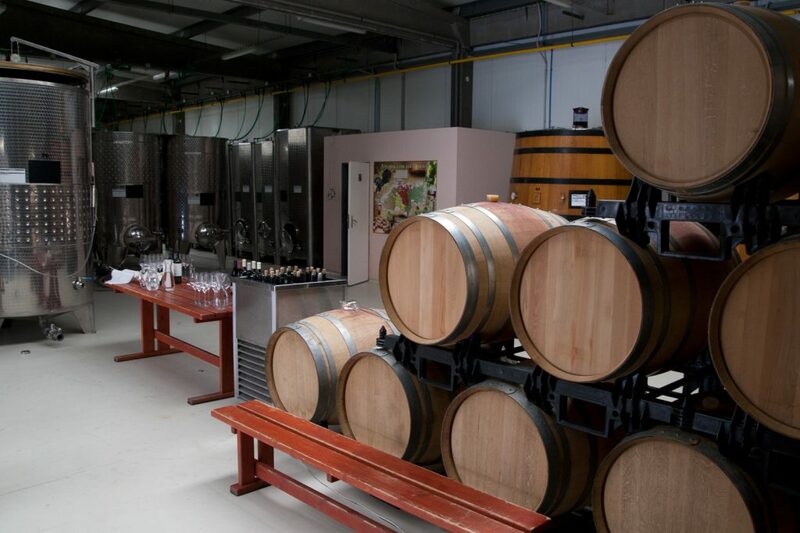 They produce very elegant, high quality wines. It’s not all machines and technology at Skoupil. They are also very aware of the terroir. The higher quality wines even have custom made labels with a map showing you exactly where the wine came from. 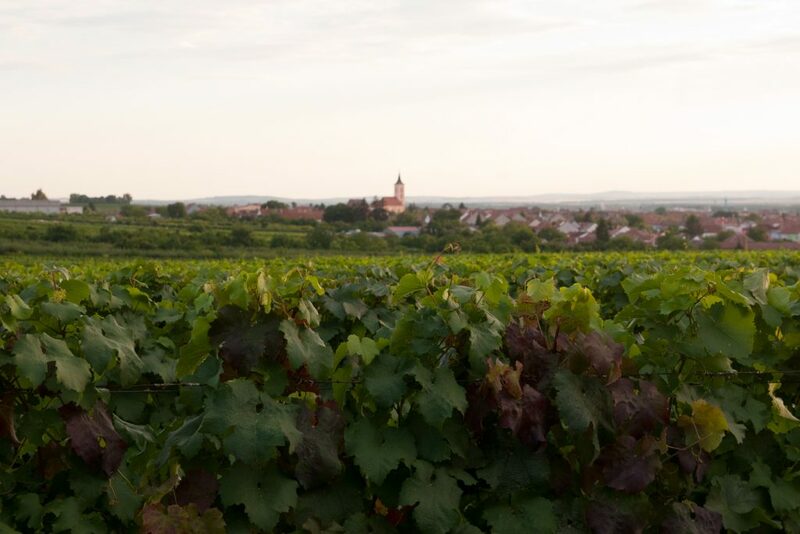 During our holiday in Velké Bílovice, we also picked Vinařství Petr Skoupil as our ‘base’, because besides producing wines this winery also runs a modern hotel on the edge of the winemakers’ area of Velké Bílovice. 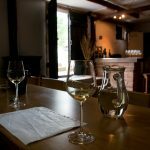 The hotel itself has great, friendly staff, excellent food, and clean rooms – all with a large balcony overlooking the vineyards. However, if you go in the middle of the summer (like we did), be prepared for some hot nights. There is no air-conditioning or proper ventilation in the rooms, that are directly under the flat roof. You can of course leave your balcony door open, but it’s a shared balcony. Vinařství Bauman is the total opposite of Skoupil. 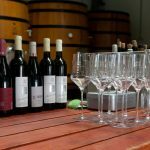 A winemaker with a very limited production and an old traditional wine cellar where the winemaker himself serves you the wines. The wines were a little bit less sophisticated, bold flavoured and sweet. Even the drier wines were sweet. This might be because we mostly tasted wines from 2015, which generally is a sweet year in this area. 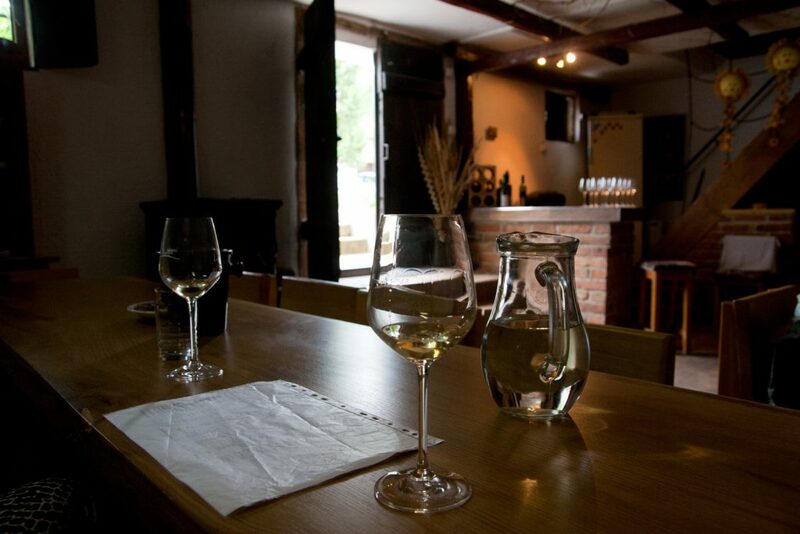 However, the wines were good and very enjoyable and there was a great atmosphere in the cellar. 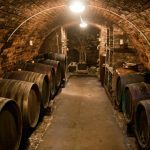 A little tip: If you visit this cellar, ask if you can take a look further downstairs in the old cellar, which happens to be a nice example of a traditional Moravian cellar. 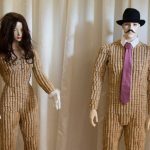 Don’t be freaked out by the weird mannequins with cork-suites when you enter the tasting room at Vinařství Spěvák. 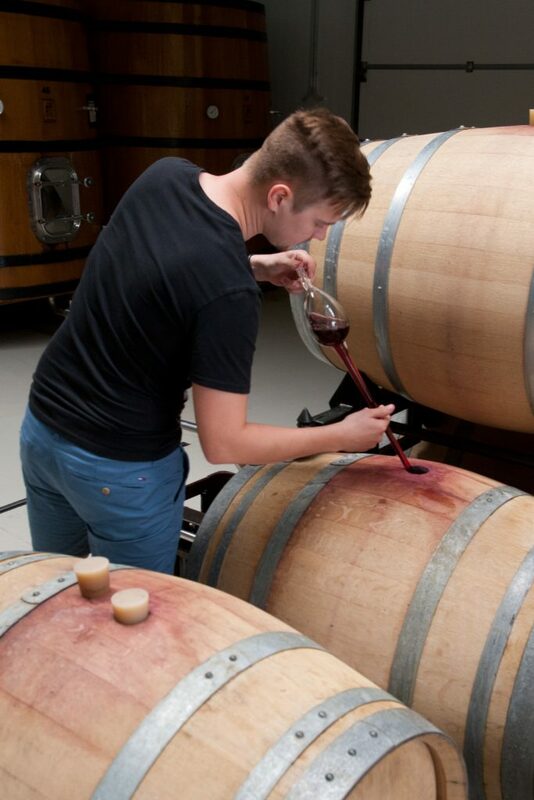 Also at this winemaker, you can again pick 10 wines to taste from a big wine list. 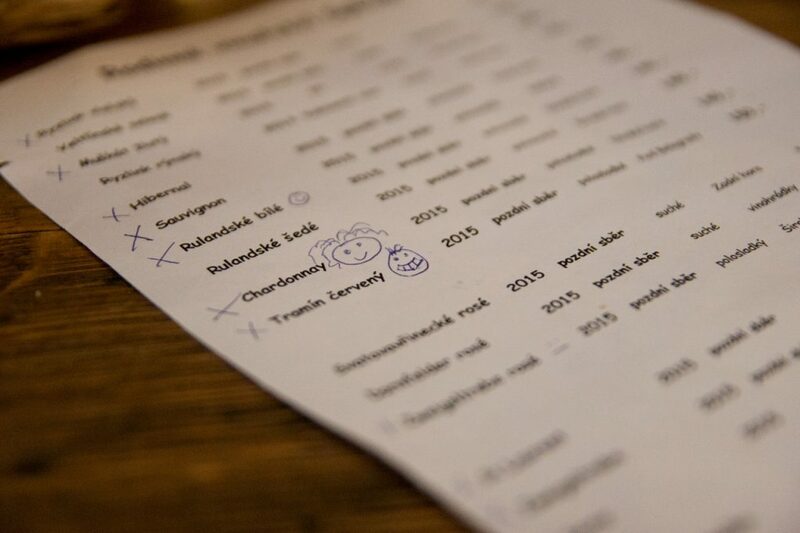 Vinařství Spěvák has good and interesting wines, but if you’re not sure what to taste, we can suggest a good trick. Ask the lady that serves you which wine she likes the least. 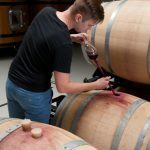 Apparently, the winemaker is happy if he has a wine she doesn’t like, because that often turns out the be the most popular wine. This year it turned out to be true again.